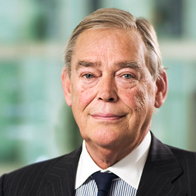 2011 was the year in which the Supervisory Board found a successor to Hans Wijers. It was also the year we launched our groundbreaking performance improvement program. Identifying Hans’ successor was challenging, given his significant contribution to transforming AkzoNobel into the largest coatings and specialty chemicals company. The Supervisory Board is, however, pleased to have identified Ton Büchner as his successor and is fully expecting his formal appointment as CEO to take place at the Annual General Meeting of shareholders in 2012. In common with every year, the Supervisory Board held a full day strategy review. This followed on from the more detailed and operational three-day Executive Committee strategy review to guide the overall strategy development of the company, consistent with the medium-term ambitions announced in September 2010. To deliver on the promise created by the appointment of the Executive Committee and its introduction in January 2011, AkzoNobel announced a major performance improvement program designed to improve efficiency (with targeted improvements of €500 million by 2014) and effectiveness. Given the expected change in CEO leadership in 2012, the Supervisory Board took a more active role in the development and implementation of this program to ensure continuity during the leadership change.